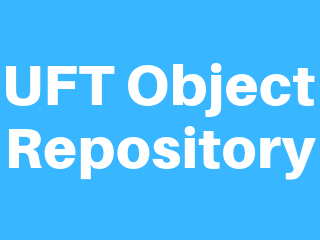 Object Repository is a collection of object and properties with which UFT will be able to recognize the objects and act on it. When a user records a test, the objects and its properties are captured by default. Without understanding objects and its properties, UFT will NOT be able to play back the scripts. Click on each one of the below topics to know more about Object Repository and its associated features. Adding,Editing, Deleting Objects from a Object Repository and its associated functionalities. Deals with coverting OR's to XML and how to use the object Repository as XML. Operations such as Compare OR', Merge OR's to effectively work with Object Repository. Circumstances when the ordinal identifiers are used and their advantages.